Designed in the shape of the infinity symbol, our 0.30 carat diamond ring is intricately and beautifully crafted. Diamonds are alongside the edges set in 10k yellow gold. 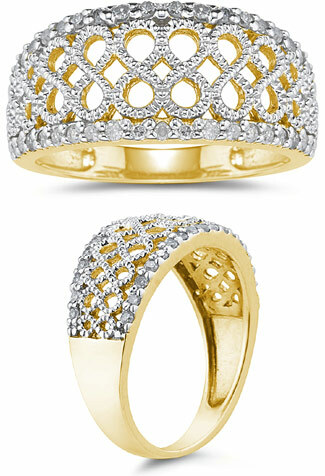 We guarantee our Diamond Infinity Design Ring, 0.30 Carats to be high quality, authentic jewelry, as described above.